Super Bowl 53 (LIII) is going to be held in Atlanta, Georgia in the new Mercedes Benz stadium. February 3rd is the set date that plenty of fans are waiting for. This year’s big matchup between the Los Angeles Rams and the New England Patriots should be big to watch. No shocker that Most Valuable Player (MVP) candidate quarterback (QB) Tom Brady is back in the Super Bowl for his third consecutive year. Brady has led the Patriots to the Super Bowl four times out of the past five seasons. No quarterback has ever done that in history. On the other end of the field playing against the Patriots is the Rams. A team that finished the regular season tied with the best record in football at 13-3. The Rams powerhouse running game led by Todd Gurley and CJ Anderson will be tough to stop for the Patriots Defense. The Rams amazing defense is top five in the NFL with sacks and interceptions this season. L.A is just an all around brutal team. Onto the quarterback comparison, for New England their 41 year old QB Tom Brady is a 14x pro bowler, 5x Super Bowl champ, 3x League MVP, and much more. Most say he is the greatest of all time. Brady is facing up against the youngest QB to ever play in a Super Bowl and his name is Jared Goff. This 24 year is a 2x pro bowler and has a great career ahead of him. Brady has been to nine Super Bowls alone, that is more than any team in NFL history. He plans to win Super Bowl 53 and get his sixth ring. Most of the country is against New England to win the Super Bowl and want to see this young L.A team win. People say they are tired of seeing the Patriots in the Super Bowl every year. But in reality, everyone is witnessing history and Tom Brady’s legacy. During Super Bowl 53 this year the halftime performance will be held by three time grammy winner Maroon 5. This is their first time performing the halftime show at the Super Bowl, so it should be fun to watch. 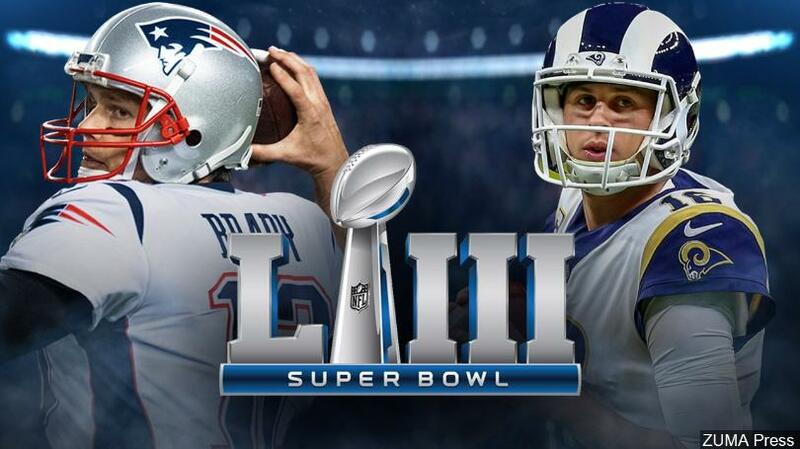 Super Bowl LIII will be fun to watch. So as people say, grab your popcorn and get ready, it is going to be a good one.